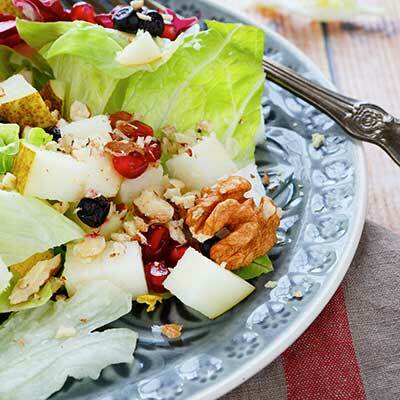 This salad features the flavors of delicious local persimmons and apples. Add all ingredients together and mix well. Refrigerate for 2 hours If Fuyu persimmons are not in season, add 3 more apples to the mix. 3 crisp Watsonville apples, washed, cored and cubed.